Our comprehensive academic program is accredited by the University of Cambridge International Examinations (CIE), and we offer both IGCSE, AS and A-Level Certification. We are also a registered Advanced Placement (AP) exam center. Students are eligible for admission to universities in more than 180 countries around the world. Miri Piri Academy offers a curriculum and testing program that meets the highest academic standards for high school programs worldwide. 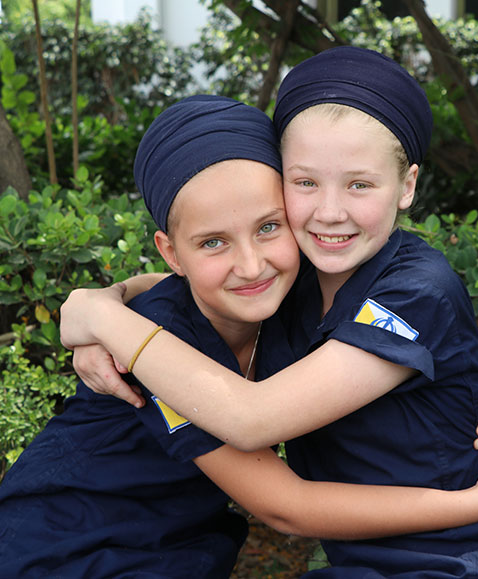 Teaching at Miri Piri Academy is student-centered, project-based, and incorporates the multiple intelligences concept. All subjects except Punjabi language are taught in English. 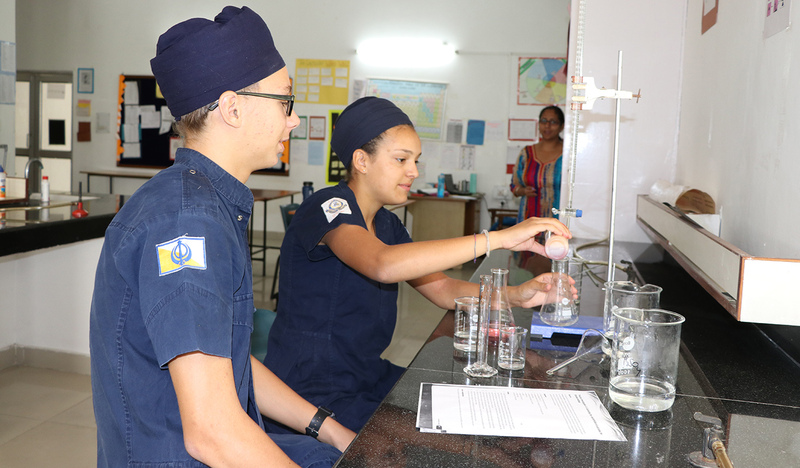 The academic curriculum for all grades is based on the requirements of the Cambridge International Examinations (CIE) and is designed to prepare students for IGCSE, AS, and A-Level Certification. The curriculum for students from 5th to 8th grade provides a foundation for the requirements of the CIE curriculum. 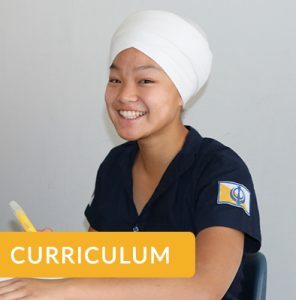 Academic options for students joining in 9th to 11th grade depend upon their ESL status (determined using standardized WIDA English proficiency test) and academic results in the core subjects of English, Mathematics and Science. Please download the Senior Grades Academic Progression Chart for details. 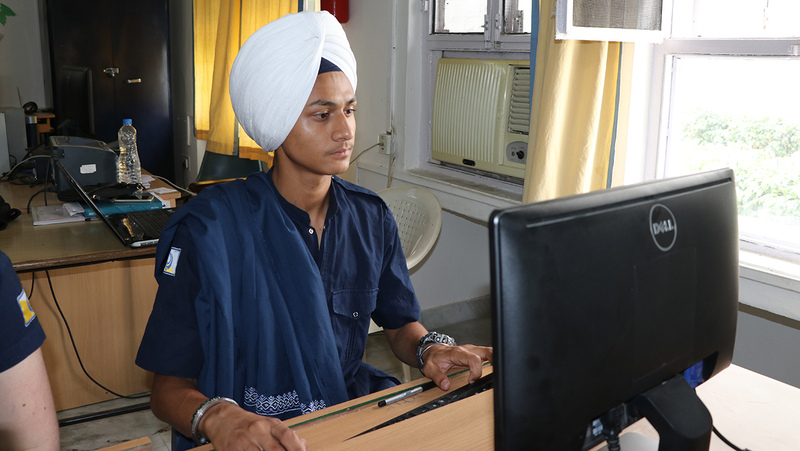 Homework given to the students is an integral part of the curriculum and is an extension of the work done in class. From Monday to Thursday study hall is assigned for the completion of homework for all students. Study time is also set aside each weekend. Because Miri Piri Academy is an international school, some students arrive on campus without the level of English proficiency necessary to engage in mainstream classroom learning. All new students are tested for English fluency upon arrival and placed in the appropriate English Support program if necessary. Further information is available in the English Second Language Policy. All students who receive a GPA of 2.0 or below in any of the core subjects will be required to participate in the tutoring program for that particular subject. The first monthly test and the first semester grades will provide a benchmark to identify students who need additional help. Once a student is on the tutoring program, they will remain in the program till the Semester exams. Any student who needs assistance for homework lessons or requires support in any subject can also join the program. Fees for tutoring are the responsibility of the parent and will be taken from the incidental account. Teachers remain on campus after the academic day is over two days per week in order to provide general academic support to students. Students who need assistance can visit the teachers during their office hours. Raag: Raagas are the melodic scales of classical Indian music. Almost the entire Siri Guru Granth Sahib is set to specific Raagas. Our teacher is one of the foremost masters of the art in North India. His style of teaching is that of the oldest tradition of Raagam, which requires deep listening and exact emulation of the teacher on the part of the student. Ustad Ji is also teacher to the Cherdi Kala Jetha. Tabla: Our tabla class is popular with many students, some of whom have already become quite proficient. The tabla is an Indian percussion instrument used in the classical, popular and religious music of the Indian subcontinent and in Hindustani classical music. Our teacher holds a Ph.D, and is himself one of the most accomplished tabla players in Punjab. Sitar: The sitar is probably the best-known South Asian instrument in the West. Students benefit from skilled teachers and regular practice hours. 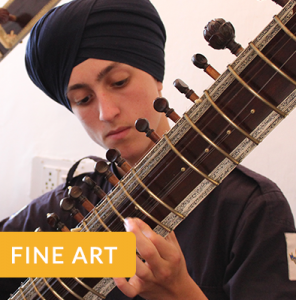 They study the use of the instrument, as well as the Raagas of classical Indian music. 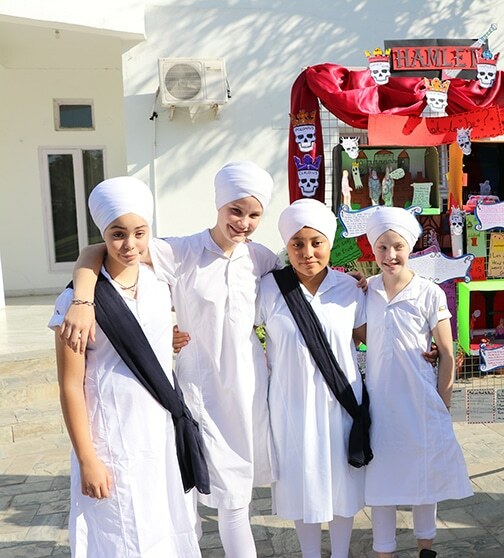 Bhangara: This traditional Punjabi dance is taught by a local Bhangara coach and gives students a taste of this joyful and popular tradition in northern India. Students practice and prepare for various dance performances throughout the year. Arts: Students with a knack for creative expression can participate in drawing, painting, pottery and sculpture classes. The classes are held in our art department, which is equipped with pottery wheels and an extensive array of supplies for the fine arts. These are only some of the courses offered as extracurricular activities. Other classes, such as guitar, drama, and various forms of dance are often available. 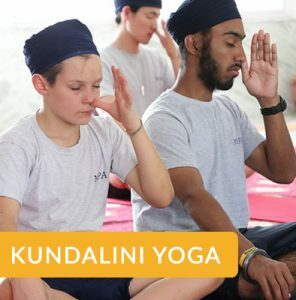 In addition to Cambridge and AP courses and our specialized program, 11th Grade students participate in Kundalini Yoga Teacher Training and are certified as Level 1 teachers by the Kundalini Research Institute (KRI). 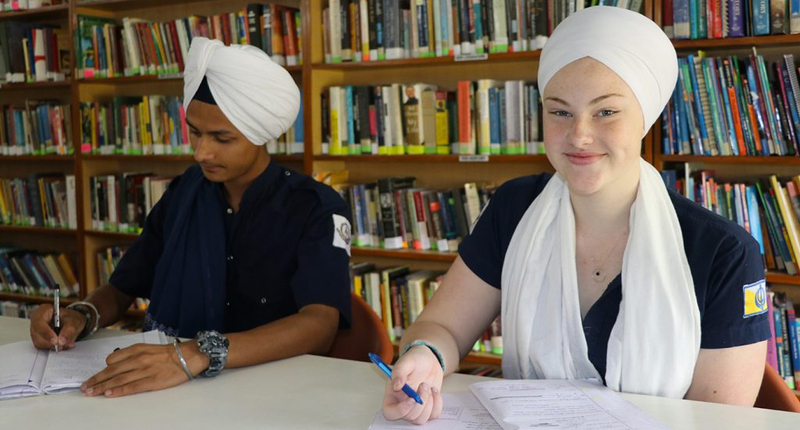 Twelfth Grade students continue their training as Kundalini Yoga teachers and participate in two Level 2 Kundalini Yoga Teacher Training modules during their senior year.